What’s it like being a married couple and running a personal financial management blog? 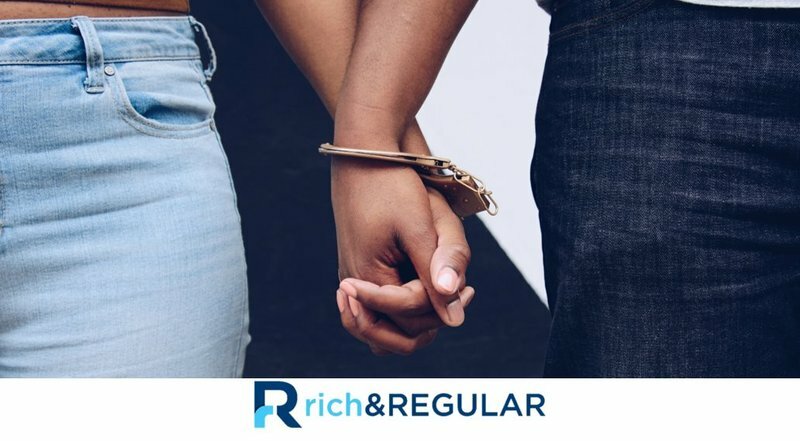 How do you think rich & REGULAR is different from other blogs? We have our days where it’s a bit overwhelming but mostly, it’s fun. We enjoy talking about money so including a bunch of friends on the internet into the conversation is actually pretty cool. Our blog is different than other blogs primarily because we don’t focus on education in a traditional way. We’re more comfortable just talking about our lives as a couple, parents, investors, and business owners and weaving in lessons along the way. As we learn, we share, which we think makes us a bit more relatable. Also, as African Americans we experience the world differently, so we speak and share openly from that point of view. Could you explain more about your motto of “work hard, opt out?” Where did it come from and has the meaning evolved for you? We’re a part of the rapidly growing FIRE (financial independence, retire early) movement and proud of it. However, the “retire early” part of the equation is highly debated. Since we’re still young (both under 40) and have a lot of juice in the tank, we were less concerned with retiring early as soon as possible. For us, the idea of “opting out” is about us having the option to walk away from the traditional workforce if we wanted to. Ultimately, we just want to be financially secure and have full control over how we spend our time which is really hard to do with most jobs. Now that you’re rich, and on the way to “richer”, what goals do you have? Travel more? Bigger house? What are you guys looking forward to? First things first … get even richer. We want even our security blanket to be insulated, to be absolutely sure we can have the quality of life we’re aiming for and pass on wealth to our son. We are definitely interested in traveling more and have even discussed living abroad for a little while, but we haven’t made formal plans. We just bought the house we’re in (2018) and since we’ve lived small for so many years, we can’t even fill it, so we’re pretty sure we’ll be here for a while. Besides material things, we’re really looking forward to getting more involved with social change and supporting causes we believe in. We want to help break the cycles of multi-generational poverty, support entrepreneurs and give to charitable causes. What are some good resources someone who wants to start their journey to being debt-free? There are tons of blogs, podcasts, books, local meetups, church organizations, workshops, online communities etc. Even if you just follow a few people or groups on Instagram or Twitter, it can expose you to concepts, tools and other people you otherwise wouldn’t have known existed. A personal favorite of ours is the Millionaire Next Door as a great book to highlight how “regular” rich people really are. What do you see coming for the blog in the upcoming years? Well, our first order of business is to spread the word as much as we can, so we’re looking to collaborate with as many other bloggers, podcasters, and video content producers as we can. We’re also really excited about helping to merge two worlds that we play in. Julien cooks a lot at home and it is the secret weapon to why we were able to save as much as we did over the last five years. We believe that if more people were comfortable cooking at home, they could experience the savings we did, be more likely to survive the debt freedom journey, and possibly explore FIRE if they wanted to. How have your lives changed since starting rich & REGULAR? Do you live your lives differently because of it? Sharing our story has completely changed our lives for the better. It has provided us opportunities to meet so many interesting people that we otherwise would never have met and it’s helped us to unlock stories from our parents and extended family members that otherwise would never have been discussed. What is the most interesting thing you’ve learned about personal finance since starting rich & REGULAR? The most interesting thing by far has been the power of ideas. Not everyone’s struggle with personal finance is tied to a lack of knowledge. Instead, we believe the struggles are tied to people’s inability to overcome cultural, social, and systemic obstacles. As a result, we try to introduce financial concepts in creative and personal ways that spark something inside of our readers. We aim for the heart, not the head. Selfishly, we’ll say “get rich and stay regular”. After the graduation, the raise, the promotions, and the sudden inflow of cash, if you can resist the desire to upgrade everything around you (houses, cars, clothes, food, cable package etc. ), and instead choose to invest, you will be able to live a life beyond your wildest dreams in no time. It’s not easy, but it’s simple.